Shepherd Offshore is a market leader in lifting, material handling and transportation solutions. The services we provide help our clients improve their planning, safety and efficiency – and optimise their time management. With over 40 years’ experience and the utmost respect for our clients’ product and equipment, Shepherd Offshore offer safe and cost-effective warehousing and storage solutions. With 500,000 ft.² of high quality undercover storage facilities in Newcastle upon Tyne, we can supply you with a comprehensive range of modern, new-build, multi-user and sole-occupancy warehouses. 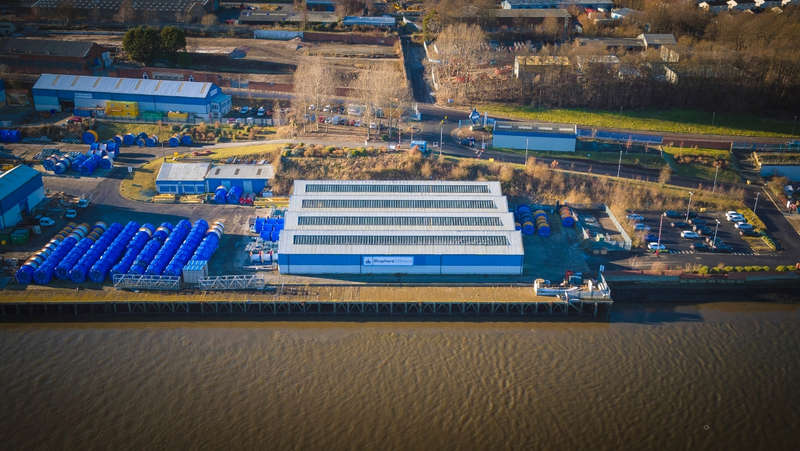 Our storage facilities are located next to our high-capacity, load-bearing open storage – strategically positioned to provide easy waterside access. And we’re committed to open communication with all our key stakeholders. Shepherd Offshore’s established in-house capability and capacity allow for a full turnkey solution, from our facilities and infrastructure to the end user. Operating an ISO certificated Quality Management System, we aim to provide an excellent service, 24-hours a day, 365 days a year. To discuss your logistics needs, call us on +44 (0)191 262 9614 or email headoffice@shepherdoffshore.com.